How weird is it that AJ has three times as many followers. The biggest fight in British boxing history is just a few days away. 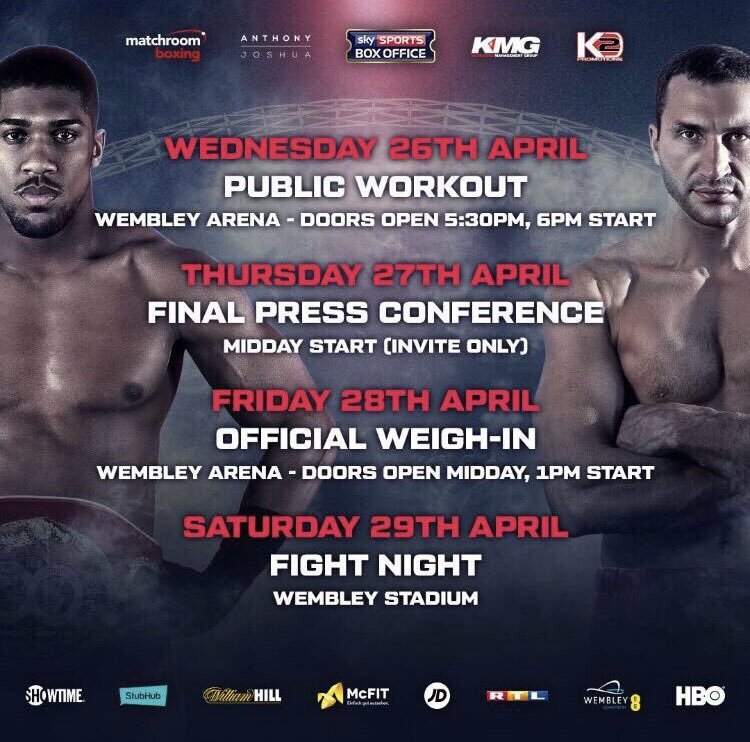 Joshua (18-0, 18 KOs) is set for the sternest test of his professional career against Klitschko (64-4, 53 KOs) who held various versions of the world heavyweight title from April 2006 until his defeat to Tyson Fury in November 2015. The Ukrainian has not fought since that loss to Fury and at 40-years-old is thought to be past his best. However, having knocked out more men that Joshua has fought professional rounds, this will be a serious challenge for the undefeated Brit. Joshua’s IBF belt and the vacant WBA strap will be on the line when the two meet. When is Anthony Joshua v Wladimir Klitschko? The fight is scheduled for Saturday April 29th 2017 set to be £42m British record-breaker.